San Jose looks to tap into residents’ private surveillance cameras for police use | C.O.B.P. 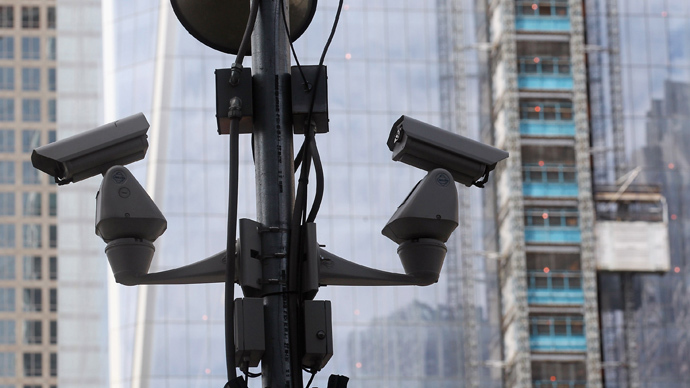 A new proposal in the San Jose, California City Council would allow residents to voluntarily offer police access to their private video surveillance camera recordings. Authorities say the program would only be used for investigatory purposes. In addition, Liccardo’s proposal suggests the city work with “private video surveillance companies to offer discounts” for home and property owners interested in joining the city’s police database program. The initiative comes amid an uptick in crime around San Jose in recent years that’s tracked the city’s rapidly-increasing population thanks in part to the technology-employment boom in surrounding Silicon Valley. San Jose’s population has more than doubled since 1970, according to US Census figures. Liccardo said he offered the measure in response to a spate of arsons that occurred this month in downtown San Jose. The suspected culprits were identified with help from volunteered private surveillance video. “With the rise of burglaries and auto thefts several years ago, many jittery residents are purchasing video security systems for their homes. In some neighborhoods, dozens of suchsystems proliferate,” Liccardo wrote in the memo about the proposal, which will get its first hearing Wednesday in a Council subcommittee. The project raises privacy concerns despite the “voluntary” tag given ubiquitous, police-accessible surveillance of an area can encompass so much more than just criminal acts. To entice “voluntary” property owners to acquire or update, then register their private surveillance equipment, the proposal suggests the Council “strike deals with security system installers to engage in group discounts of such video systems where residents choose to register their system,” Liccardo wrote. The public sphere’s reliance on private surveillance can be billed as willing, but should be viewed with suspicion, critics said. "To me the really interesting and troublesome part of it is the way we are starting to privatize government surveillance -- to enlist private citizens in a way that is kind of unprecedented and could be potentially really dangerous," said Hanni Fakhoury, a staff attorney for the Electronic Frontier Foundation, according to the San Jose Mercury News. "Once you give the police unfettered access 24/7, you're relying on them to exercise their restraint." The memo on the proposal does not detail whether police must alert voluntary property owners when and how their footage will be used during any given investigation. Liccardo believes the project would not be costly for the city to build and maintain. "It became apparent that there's a lot of evidence out there that residents want to provide," he said, according to the Mercury News, referring to volunteered footage. The database would lift the cumbersome process that currently exists, in which police must go door-to-door searching for cameras that could help investigations. A San Jose police spokeswoman said the department is still weighing the benefits of such a program. "We also would have to factor in how such a system would be weighed against other pressing priorities for our limited time and resources," Sgt. Heather Randol said. Should the database be approved, San Jose would join major US cities like Philadelphia and Chicago that have similar public-private policing partnerships.